You will be swimming with snorkel gear in the lagoon. 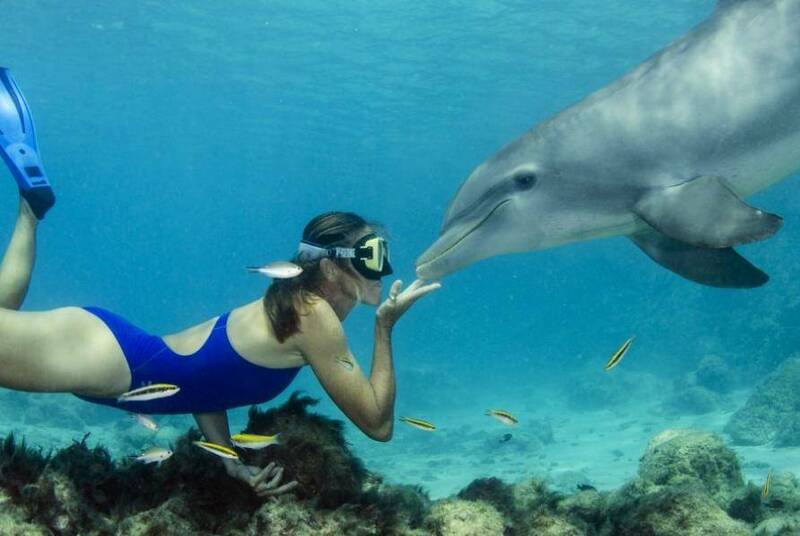 The dolphins will dive alongside you, allowing you to pet and interact with them under water. Most of the interaction will take place below the surface, so being an experienced snorkeler is considered a plus. Additionally, you will be learning more about the dolphin’s echolocation through a fun, educational and interactive activity. The program lasts approximately for 30 minutes. Group sizes are kept small with a maximum of 6 people and 3 dolphins in order for you to fully examine and study the dolphins’ behaviour.